Welcome to the Best Western Troy-Madison Inn, where you can relax in the heart of it all. We offer a great value for the money combined with a superb location, assuring both the business and leisure guest all the facilities for a comfortable stay. We are centrally located 15 miles northwest of downtown Detroit in the suburb of Madison Heights. We include an alarm clock radio, microwave, refrigerator, dataports, telephone, coffee maker, iron and ironing board, electronic safe and hairdryer in every room. Enjoy our complimentary extended continental breakfast served from 6:00 a.m. to 10:00 a.m. daily. Make use of our 24-hour business center with free high speed Internet, fax and photocopier. Relax in our indoor heated pool. Our attentive, multilingual staff takes pride in providing personalized service. We even offer free local phone calls. 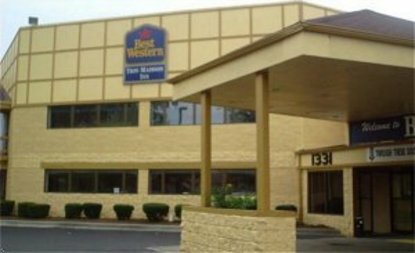 The Best Western Troy-Madison Inn is located within easy walking distance of restaurants, shops and shopping malls, entertainment, movie theaters, banks, ATM machines, gas stations, post offices, libraries and supermarkets.